Find the game instructions here! Ever needed inspiration for your improv jam? 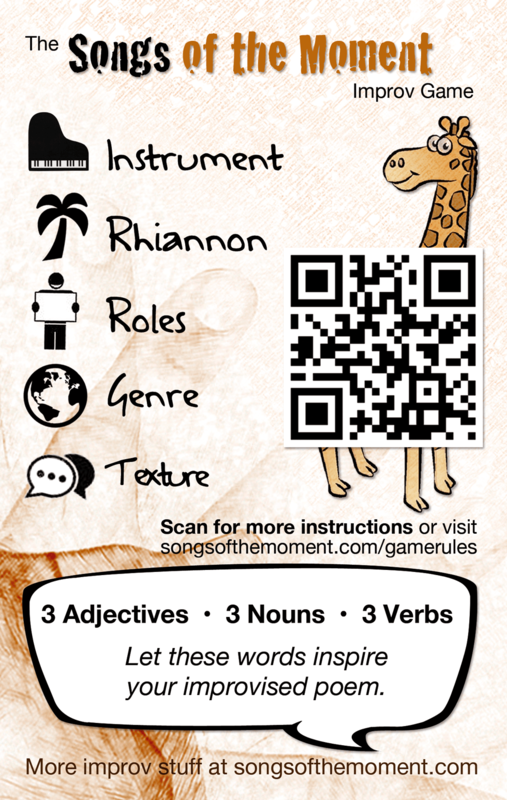 The Songs of the Moment Improv Game gives you 10 inspiration cards to pimp up your improv session! The set features 5 categories and a word section, in which you will find 9 words to push you into the poetic world. Th Improv Game has 10 inspiration cards and 1 overview card.